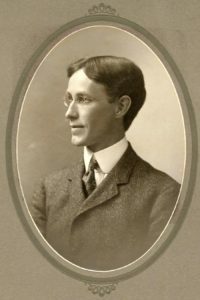 The forebearer of the Integrated Liberal Studies program at Wisconsin was Alexander Meiklejohn’s Experimental College, which Meiklejohn inaugurated at the University in 1927. The Experimental College was “a college within a college” (a term with which we now endear the ILS program) that enrolled 155 male students at its peak. Faculty and students shared living quarters in the Adams-Tripp lakeshore dorms. The college had its own rules, six-week modules instead of semesters, and no conventional grades. Meiklejohn was acclaimed outside the University for the Experimental College, but on campus a separate college with distinct policies for a particular group of students was not popular. It was no surprise in 1932, when budgets were cut due to the Great Depression, the Experimental College closed after only five years, after which he left Madison to establish a similar integrated learning community at Berkeley. His legacy as an innovative educator and free speech advocate continues to influence the liberal arts at UW-Madison. 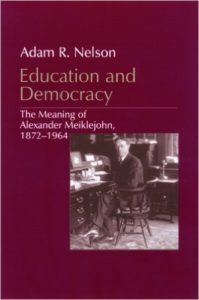 This definitive biography of the charismatic Alexander Meiklejohn tracks his turbulent career as an educational innovator at Brown University, Amherst College, and the University of Wisconsin’s ‘Experimental College’ in the early twentieth century and his later work as a civil libertarian in the Joe McCarthy era. The central question Meiklejohn asked throughout his life’s work remains essential today: How can education teach citizens to be free? 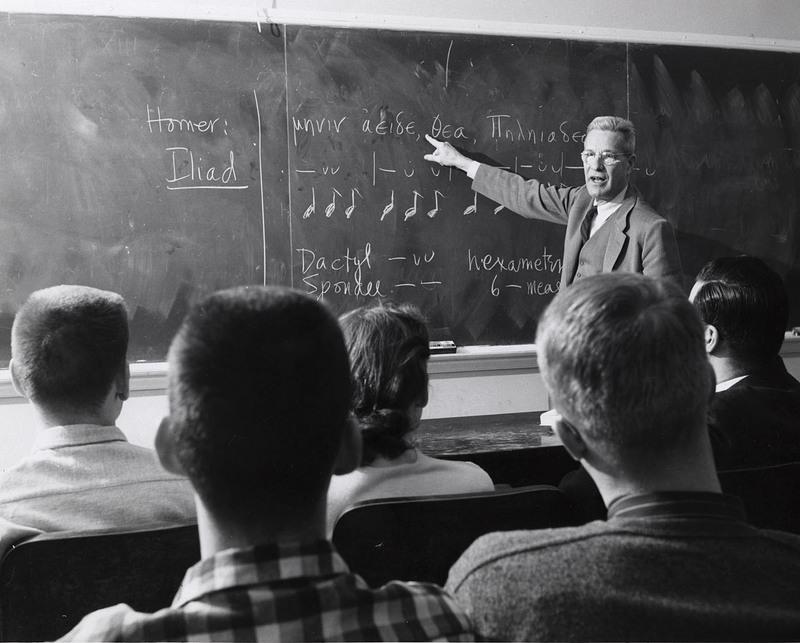 The Integrated Liberal Studies Program was established in 1948, influenced heavily by Meiklejohn’s Experimental College. It is one of the oldest continuous interdisciplinary programs in the United States, forming itself around the educational nature of Meiklejohn’s model. Learning from his political mistakes, Integrated Liberal Studies was constituted as a distinct program, though not an independent college. The program required students to apply for admission and kept the Experimental College’s emphasis on broad yet integrated education. ILS students were required to take at least two ILS courses per semester and to complete at least 36 ILS credits by the end of their sophomore year. Unlike the Experimental College, ILS was made part of the College of Letters & Science and its faculty members were “borrowed” from existing departments. Not based in a residential setting, the faculty also no longer lived amidst the students. By the mid-1960s most of the founding ILS faculty reached retirement age. They proved hard to replace. Moreover, program enrollment, which began with 300 first-year students in 1948 and peaked at 415 in 1965, declined. The fall in student interest partly came due to tougher Letters & Science requirements in math and languages that reduced time available for electives; increased emphasis on professional education; and the social turmoil of the 1970s. In 1979 the then Dean of Letters & Science attempted to eliminate ILS, but the Letters & Science Faculty Senate rebelled. What eventually emerged from the controversy was the present Integrated Liberal Studies program. The ILS story since then has been one of growth as more and more students have taken one and often many ILS courses; today it is a flourishing program with close to 2000 students filling ILS courses to capacity. Each year a good number of students complete the ILS certificate program. ILS still values interdisciplinary education, focusing its curriculum on and integrating topics from Western history, literature and the arts, social, political, and economic thought, and the nature and history of science. ILS welcomes other interdisciplinary programs, like its companion Global Studies, and other educational opportunities that promote living-learning such as the Bradley Learning Community and Chadbourne Residential College. Since its reconstitution in the early 1980s, ILS has undergone considerable expansion in student appeal, the number of faculty and students involved in the program, and has even seen improvements in its beloved campus home, Meiklejohn House, located on the corner of N. Charter and W. Johnson. A building with some real character to it, the house became university property in 1928 and was eventually converted from a women’s cooperative to academic use forty years later, but its history started in 1914. That year, Samuel and Ida Oakey built a three story duplex on four lots of land on North Charter Street a few blocks from the university campus after years of living in rental housing on West Johnson Street. The Oakeys and their children resided in the south half of the duplex, an arrangement that continued after Samuel died in 1920. Years later, after taking boarders and living with her children as they attended the university, Ida Oakey was approached by Miss Mary D. Andersen and Miss Nardin of the YWCA advisory board in 1928. They asked if she was interested in selling the house. She was, so the YWCA had university officers consider the property for a women’s cooperative house. They gave their approval and the women put down $500, and took on a $220/month mortgage for the $19,000 purchase price, and the Andersen cooperative house began. The owner of the property was the University Women’s Building Corporation, under the supervision of the Dean of Women. In the same year, the superintendent of buildings at the UW drew up and executed plans that modified the old duplex into a single dwelling. There were rooms for 17 women looking for low cost housing. The only employees were a housemother, a cook, and a houseboy. Most inhabitants of the Andersen house worked part-time to get through school. Rent was typically about $200 per semester, and residents shared the chores involved in running the house. In 1940 the co-op hired as a housemother named Grace Lord. She stayed for more than twenty years and was a force to be reckoned with. For example, in 1950 the women of Andersen House wrote a list of complaints to the dean of women, objecting that Lord was peremptory with them, didn’t allow the women to know anything about running the house, “made a martyr of herself over the keys,” and eavesdropped on their private meetings. A considerable amount of this conflict appears to have been caused by Lord’s stringent measures to keep costs low, which was part of what made the Andersen House attractive. Lord remained at her post at the Andersen House until 1964, when the name was changed to the Rosemound Residence and placed under the control of Mary Tyrney. By that time most of the functions of the women’s cooperatives had relocated to the Zoe Bayliss and Susan Davis Houses, so the building was taken over by the University in 1969. The following year the Integrated Liberal Studies program took occupancy. In September 1969, the regents approved the renaming of the building “Meiklejohn House,” and for more than thirty years it has been the home for ILS students, faculty, and staff.